It is difficult to pinpoint when, exactly, I became addicted to diet cola; Diet Coke at first, then, briefly, Pepsi Max and then, more recently, Coke Zero. It is most likely to have been when I was at university studying law, trying to perfect the mad art of cramming that students are so fond of. We’d regularly stay up two nights in a row, sometimes three, without sleep, before sitting an exam. Most of us relied on coffee, some used trucker’s caffeine pills, but I discovered the glory of sweet, black bubbles; the hiss, fizz and satisfaction of a cold can of chemicals. Or several. It worked. Red-and-white cans soon carpeted the floor of my VW Beetle; I laughed it off as installation art. I drank and drank through tutorials, lectures and late study sessions, sneaking it into the library, lining my fridge with neat silver cylinders, and finally writing a PhD – all while pouring litres of black bubbles into my body. My best friend was the same, for a while. We once detoured to the university’s library to research phenylalanine, an amino acid found in the artificial sweetener aspartame we were consuming so much of. Within 10 minutes, we were thumbing scientific journals containing articles about gruesome experiments involving rats whose brains fried, and monkeys whose limbs began to spasm. We looked at each other in alarm, slid the offending volumes back onto the shelves and left. A surprisingly large number of people are hooked on sugar-free caffeinated drinks. Many of them just don’t like coffee. If you doubt me, go to Twitter or Google and type in “Diet Coke addiction”. It has little to do with diet, and nothing to do with hunger or thirst. It sates another need: to be stimulated, alert, awake and productive for long sedentary stretches. To be up, one step higher than we are now. This is what makes it the drink of our generation. It is marketed to match our desire to be amped, pumped, buzzed, psyched, hyped, caffeinated, aerated, inflated, enlarged; to be smarter, sharper and more focused than our usual selves. It is not what we actually need, it is what we have become convinced we need to function in the modern world. On our bottoms, at our desks, faces bathed in laptop glow. And we drink billions of litres a year. I have tried giving up three times. I succeeded during my first pristine pregnancy, because I was giving it up for someone else. Then just after my baby was born, I moved with my family to New York – which is like a reformed junkie signing a lease for a drug den, with William Burroughs and Timothy Leary as flatmates. I had no chance. Sugar-free caffeine drinks flow from fountains in the land of plenty and are drunk by everyone, everywhere, often for free. I met people who gulped Advil with Diet Coke, Xanax with Coke Zero and aspirin with Pepsi Max, just to get through a working day. At the offices of the magazine where I worked, there was a large fridge stacked with cans of “soda” – mostly Diet Coke – that was only for the use of the senior editors. When I got promoted, I must admit one of my first thoughts was of that fridge – sweet! Diet Coke on tap! I met people who drank more diet soda than water: six cans a day was not unusual, and I was laughed at for fretting over a one-can-a-day habit, which slowly grew to two, then more in a crisis. I somehow gave up again for my second pregnancy, and wondered if I had finally kicked it. I gave birth to a fat, happy boy, and was recovering in hospital when I was smitten with severe headaches from an epidural that had leaked into my spine. I cracked a can within seconds. The fridge in my hospital room was already stocked. Americans are aware of, and worry about, alcoholism, in a way Australians do not. Here, we binge drink booze and boast about it, thinking it normal. In the United States, the binge drinking of diet soda is much the same: all in a day’s work. Globally, Americans are still among the greatest per capita consumers of soft drink. (We are in the top 10.) Addicts include former presidential candidate John Edwards, Hollywood execs Harvey Weinstein and Jeffrey Katzenberg, Bill Clinton, and Mitt Romney, who, in line with his Mormon beliefs, only drinks caffeine-free Diet Coke. Can the US elect a man who drinks decaf Diet Coke? And can you really be addicted to something as ostensibly harmless as Diet Coke? (The diet part is crucial; it tastes different, and for many of us, is a lot more addictive.) It is not “illegal, immoral or fattening” like most vices, as critic Alexander Woollcott put it. It’s just packed with dubious chemicals. It might seem to you to be a first-world problem. But those of us hooked on it at some point start noticing that we can’t be without a can; that if cut off from a source of supply, we get twitchy, and savage headaches develop. It becomes solace for stress, distraction from difficulty, and also something very pleasant; you do it when you are happy – why not? – or when anxious – what can you do? It’s a habit, a cheery ritual, punctuation in a monologue of often solitary work. American author Charles Bukowski described habitual addiction perfectly when writing of alcoholism: “If something bad happens, you drink in an attempt to forget; if something good happens, you drink in order to celebrate; and if nothing happens, you drink to make something happen.” Coke Zero was all these things, and an event in itself: the click of the can, the fizzle of the bubbles, the smack of the caffeine. Delightful. My final turning point came when I read an article by a former Coca-Cola executive – Todd Putnam, who was head of marketing in the US – who revealed that Coke did not just compete with Pepsi or Mountain Dew: it now competed with every beverage, including milk and water. 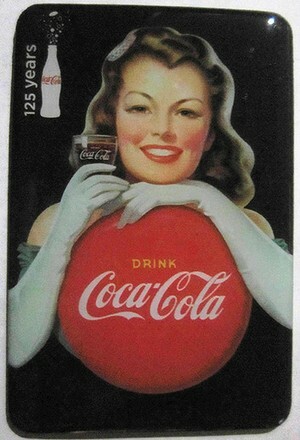 Coca-Cola call it “share of stomach”, and Putnam described a meeting with other executives in which they discussed how Americans were now drinking more Coke than milk. At the time, he shone with pride. That was it. I know the research into artificial sweeteners is both alarming and vigorously contested. I know there are worse crimes. But I also know that for almost 20 years I have pumped an entire dam of chemically laden water into my body: aspartame, methanol, phosphoric acid and colouring, as well as the Bisphenol A (BPA) still found in aluminium cans. Recent studies have shown that diet soft drinks can erode tooth enamel, weaken bone density and lead to a greater risk of heart attack, premature babies, weight gain and kidney failure. Scientists are still arguing about what these studies mean, but one thing is certain: when you stop drinking it, you feel like hell. Some sleep for days, most are felled by migraines or develop flu-like symptoms. A former colleague of mine, who used to drink several litres a day, vomited for a week when he stopped. That can’t be good. Sensibly, I decided to reclaim my stomach as any modern woman might: with the help of Twitter and a naturopath. One night I tweeted, “Right. I am about to give up Coke Zero. Such a lame addiction. Or habit. Anyone out there want to join me?” I was dangling a hook in a stream fat with caffeinated fish. Within minutes I had a small crew of fellow addicts wanting to give up, all in their 30s and 40s: Nadine, a journalist, Martine, a marketing executive, Geoff, an Anglican priest, Nick, a university lecturer, and me. And so we began. Geoff, leading the way as a good theologian should, succeeded in quitting ahead of our start date, and sent supportive missives. His advice, after working with rather more hard-core addicts (heroin in Kings Cross, pot in Glebe), was to recognise slipping up was not total failure. Nadine displayed a will of steel by going cold turkey immediately. She had withdrawals for a week, then bought a SodaStream and is now rapturous about clear bubbly water. Martine found herself suddenly drinking a lot more alcohol. And Nick and I complained of headaches, sleepiness and strange aches. One night he woke up in a cold sweat and vomited. It’s been a month now. I am down to one a week. the headaches are gone. I still miss diet cola, though; it’s been a silent, solid companion through a chain of degrees, books, countries, jobs and lives. I have had to mourn it – a lost lover who, though mute and unsurprising, was consistent and enduring. Oh yes, I am aware it’s inanimate, just something that feeds off the warmth of the host. But what happens to objects like that, which we can consume daily and carry with us through long nights, relationships, the births of our children and frequent change, is that we project onto them our own craving for constancy, custom and ritual. When we circle back and listen to something as simple as the hiss of a ring-pull, we are grounded to a sound we first knew as children. Little wonder soft-drink marketers spend so much time luring teenagers; once seduced, we’re devoted for life. I really hope that this time, though, I’m finished. Posted in Culture, Good Weekend. Bookmark the permalink. Good on you Julia for kicking it! I dnjoyed your entertaining as we as daunting account of your awakening to the chemical factory that is diet cola. So much of our food is compromused in the pursuit of economy and shelf life. What about the ingredients in Pringles, how can Procter and Gamble call it’s food? And just try finding a product in our supermarkets that sugar isn’t in the first 3 ingredients. No wonder we have so much cancer, diabetes and intolerances over taking our immune systems. Stick with it.